Little is known about its origins, but okra (also known as lady’s fingers or bhindi) was already being cultivated in Egypt during the time of the pharaohs. Today it can be found in almost all tropical and subtropical regions of the world. African slaves were the ones who brought it into the United States. It is also an essential ingredient of Cajun cuisine in Louisiana. At first glance, this green-coloured vegetable-fruit might resemble a pepper, but it actually tastes more like an eggplant. It contains a mucilaginous substance that thickens stews and soups, but which is not to everyone’s taste. Okra is low in calories and it contains many antioxidants, minerals and soluble fibres that are known for their beneficial effects on cholesterol. 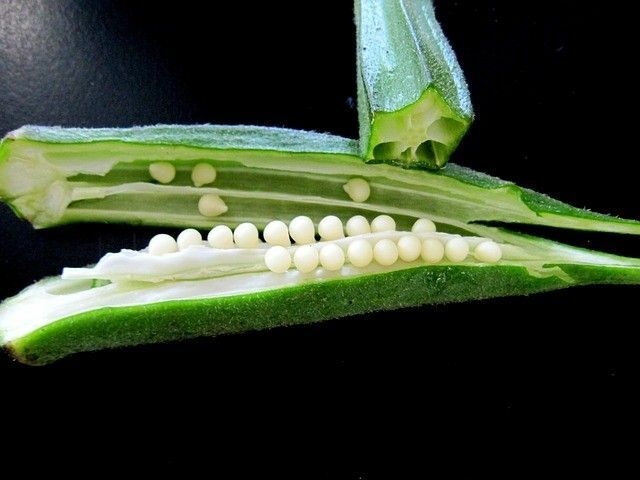 Fresh and frozen okra is available all year-round in ethnic grocery stores and it is also becoming a common sight in supermarkets. Make sure the okra you select is young and tender but firm. Cut off the stalks and conical top and remove the fine fluff on the surface by rubbing it without piercing the pods. Okra should be cooked whole to prevent it from becoming sticky. Originally published in the Journal de Montréal on September 28, 2013.